The ECM-673 offers an excellent sensitivity of -36 dB (0 dB=1 V/Pa) and a low inherent-noise level of less than 17 dB SPL. 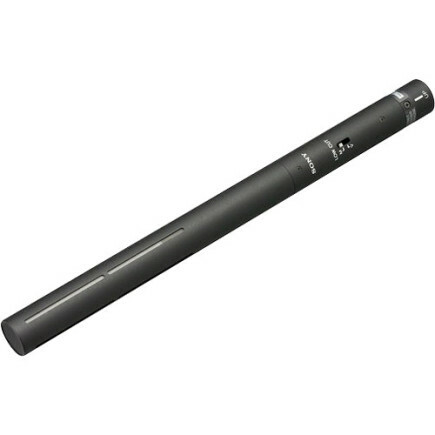 This allows the microphone to be used for clear voice pickup, even in noisy working environments. 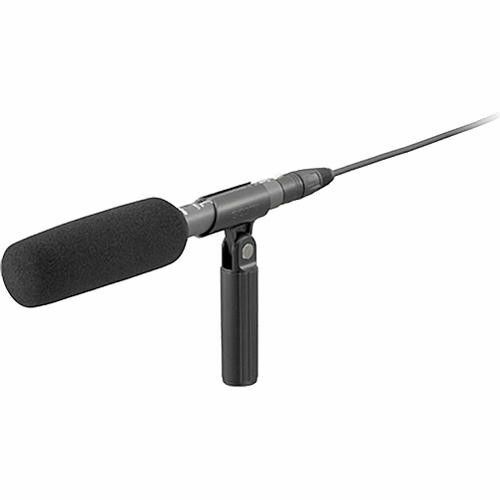 The ECM-673 microphone has a flat-and-wide frequency response (40 Hz to 20 kHz) and delivers extremely smooth and natural sound reproduction. 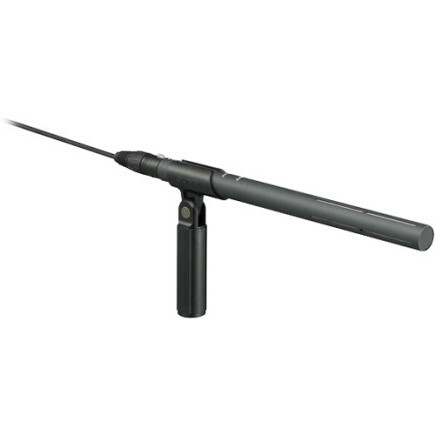 The ECM-673 has been designed as a highly directional, compact, and lightweight short shotgun microphone. It measures only 200 mm (7 7/8 inches) in length, and weighs just 135 g (4.76 oz), maintaining good balance even when mounted on compact camcorders. The vibration-resistant mechanism of the ECM-673 offers high durability and reliability, making it suitable for the harsh environments that can be encountered in field sound-acquisition. The built-in two-position (M, V) low-cut switch on the ECM-673 provides a simple method of reducing the effects of unwanted ambient noise.